A gamer accused of cheating in a net café game of CounterStrike narrowly escaped death after irate players skewered his head on a knife. The incident began in a net café in China’s northern province of Jilin, when a group of youths apparently noticed a 17-year-old boy they had been playing CounterStrike with had been cheating by using a “wallhack” to allow himself to see through walls. An argument began and a fight broke out outside the café. 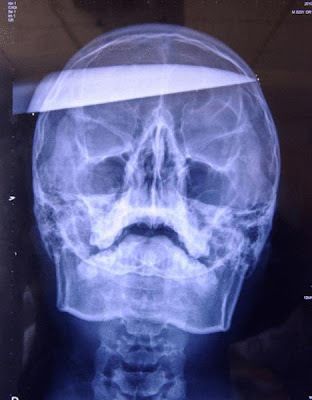 During the fight the cheater had a 30cm knife thrust into his left temple, with the blade only being stopped by the other side of his skull.